Remember, that carp catching in autumn is unstable. In the morning and before noon you can catch small species, as the big carp in October will start eating in the second half of the day. Usually from 3-4 PM and to full darkness. It can actively take the bait even at night. 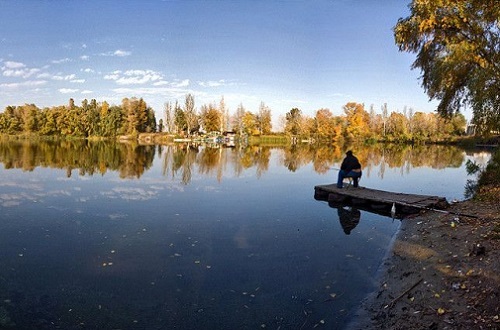 During fall carp shows interest in food not only in warm but windless weather. Then the angling in the rain and even the slightest wind won’t give any results. In this weather, fish goes in the holes and doesn’t stops eating. The best time for hunting will be the first half of the October. In this days the weather is still lovely, but the amount of food severely decreases. There are almost no algae, no larvas of the insects or plant seeds get in the water. As a result, carp starts eating the lure. But the colder it gets, the less carp come out to eat. 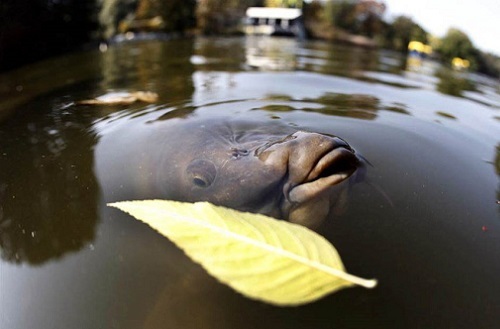 So at the end of October and in November carp in many regions are preparing for the winter. He stops moving around the water area, acts passively. The sub-zero air temperature and the carps start running in the winter pits, where catching it is quite hard. 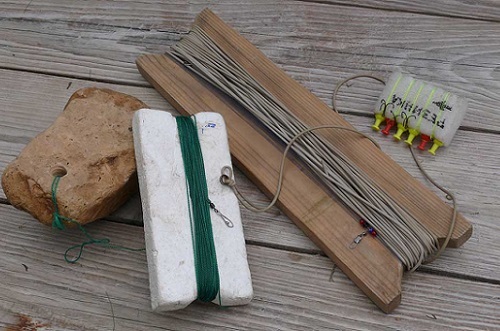 And how to catch carp in October you can find here. The fact that sazan doesn’t move around makes anglers live harder. They need to find places of their crops, change chosen points etc. Cause receiving some catch in this time can only become true if the lure and the bait will be thrown next to a pit, where carp is placed. Even so, you need to hope that the fish will come out to eat, and won’t stay inside. After you learned how hunters preferences change in October, let’s talk about how to catch sazan during fall. Let’s start with the rods. In the priority – different bottoms, which allow picking near the pits. Using a regular rod in this time of the year is practically useless. It is because of the fish movements in more deep places, which, as a rule, are far from the shore. Besides, even in warm for the October weather, during the night the temperature of the air is decreasing. It becomes the cause of the water being cold, and with that, clear. Even if you have a good depth near the shore, carp won’t eat there – too much light, making him noticeable, for those who are on the land. With the help of a boat, you can catch it in places, that bottom rods can’t reach. And the fish won’t be shared with the landing of a heavy gear with the feeder, which is provided with splashes, and noises from hitting the water. But, most anglers don’t like hunting from the boat and prefer catching in October using the feeder. Therefore the success awaits only those who use a running type of rods. The point is that the autumn carp is quite careful. If he feels the slightest oppose of the nozzle, he leaves it. That’s why only by setting the feeder on the first sliding leash, you can expect a good catch.